Line 1 comes in uppercase letters only. Spelling and Punctuation will appear exactly as you entered it on your order, so if you want an apostrophe "s", you must add it. Line 2 comes in uppercase letters only. Personalizations can't be name brands (eg. 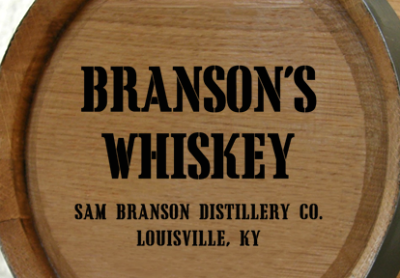 Jack Daniels, Jim Beam, etc... ) due to licensing. Eg. of liquor names or types are: Scotch, Brandy, Tequila, Vodka, etc... . SEE Liquor Name examples on barrels. Line 3 comes in uppercase letters only. Spelling and Punctuation will appear exactly as you entered it on your order. Line 4 comes in uppercase letters only. If you do not want a 4th line, type NONE. Spelling and Punctuation will appear exactly as you entered it on your order. 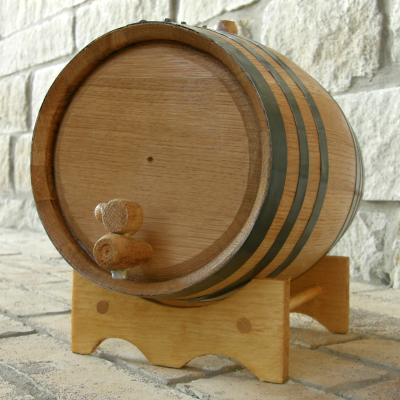 Create this Personalized Whiskey Distillery Mini Oak Barrel just the way you want it. Use for decor or to serve or age your favorite whiskey or other spirit. Comes engraved with four lines of text that you can personalize. If you don't want a 4th line of text, leave the space blank or type NONE. Examples of personalized text can be your name, liquor name choice, distillery name, city & state or even perhaps an established date. Our small oak barrels are handcrafted from premium quality American white oak, the same that most wineries and distillers use, are charred inside and comes with a series of black steel hoops around the barrel. Color of the barrel is medium toast and comes with a wood stand, bung, and wooden spigot. Perfect for aging and or serving whiskey, scotch, bourbon, tequila, brandy, rum, cognac, other spirits, wine, beer, barrel aged cocktails (no citrus or dairy ingredients though), homemade hot sauce or tabasco sauce, balsamic vinegar and even barbeque sauce. A Man Cave Gifts Exclusive! View our Small Oak Barrels section to see our entire collection of personalized mini oak barrel designs. Many fantastic designs to choose from.